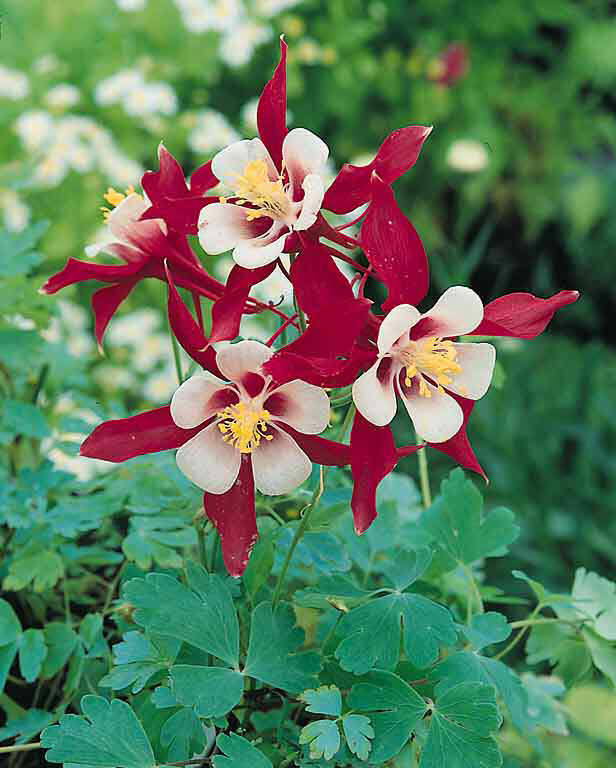 Crimson Star columbine features stunning, 4 in., long-spurred, crimson-red, spring flowers with white corollas. Hummingbirds love them. The 30 in. tall plants are early blooming, free flowering, well branched, and relatively heat tolerant. Winter hardy to zone 3.